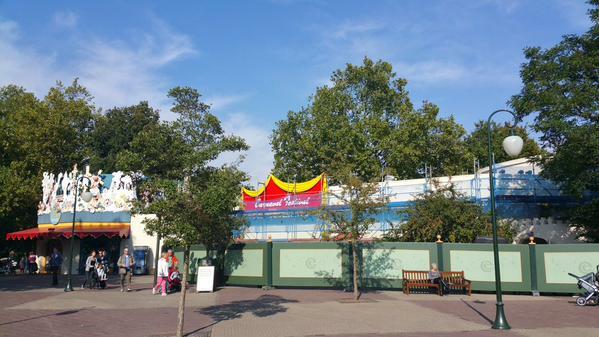 From early March to late May, Carnaval Festival will be closed for renovations. 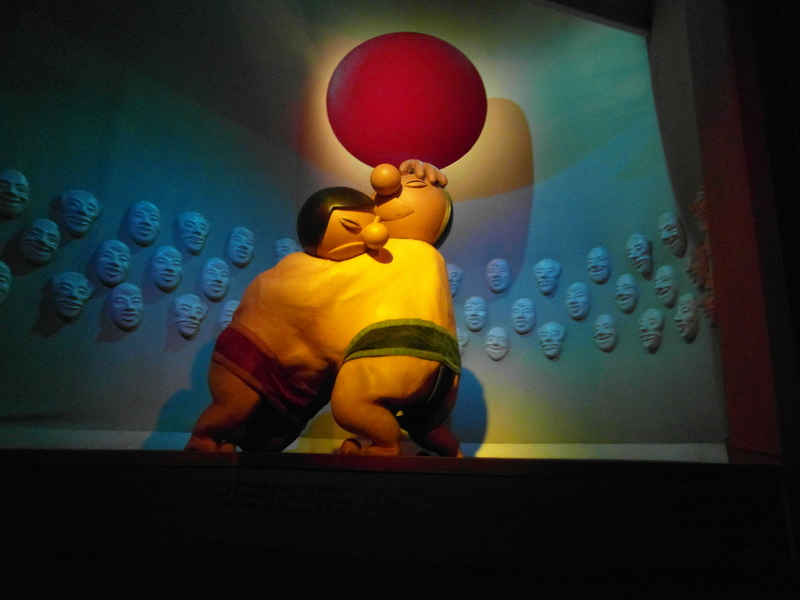 While nobody outside of Efteling knows exactly what will be changed in the ride, some people in the theme park community believe that it might include altering some of the ‘racist’ figures in the attraction. Whether you agree that racism is rife in the ride or not, it has been pointed out on several occasions that some of the ride’s figures are derogatory towards certain nationalities. By the end of May we will know exactly what is getting changed; perhaps it is simply a Spring clean! For more Efteling features and photos, join us on Facebook, Twitter and Pinterest! Then they go through Africa, and aren’t keen on how the dolls are black and are hunting animals. You can imagine that this doesn’t sit well with us, but of course, we are biased! However, on the blog, it does state that the writer is ‘Muslim, Singaporean, politically Malay, historically a mix of Javanese.’ So maybe that is why they have a problem with only specific parts of the ride? I mean, maybe I would go in there and complain that not all British people are white, and not everyone is a soldier? How about the French? In their part of the ride, there is a prostitute on the corner, but the writer seems totally fine with this. Poor Germany is painted as a bunch of alcoholics, and apparently all Mexicans wear sombreros and ride donkey! That’s fine though. As long as the Asians and Africans are changed to be politically correct, then it’s all good! 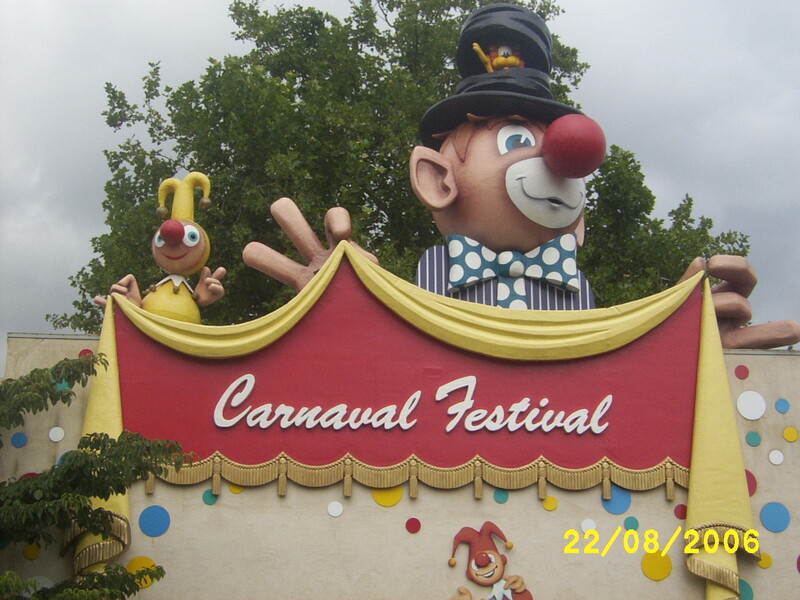 They do also mention that they aren’t too happy about the figure in the middle of Monsieur Cannibale, but that is expected after their feelings towards Carnaval Festival. Clearly this irritated us a bit. Carnaval Festival opened in 1984, and hasn’t been changed massively ever since. Political correctness was not in huge force then, and even still, do these dolls really offend anyone? How about Disney’s ‘it’s a small world’? Does that offend too? If you’re going to Efteling, you are probably going there to have fun, so don’t take things too seriously; the things you see there are not intended to cause offence. …in Carnaval Festival of course! 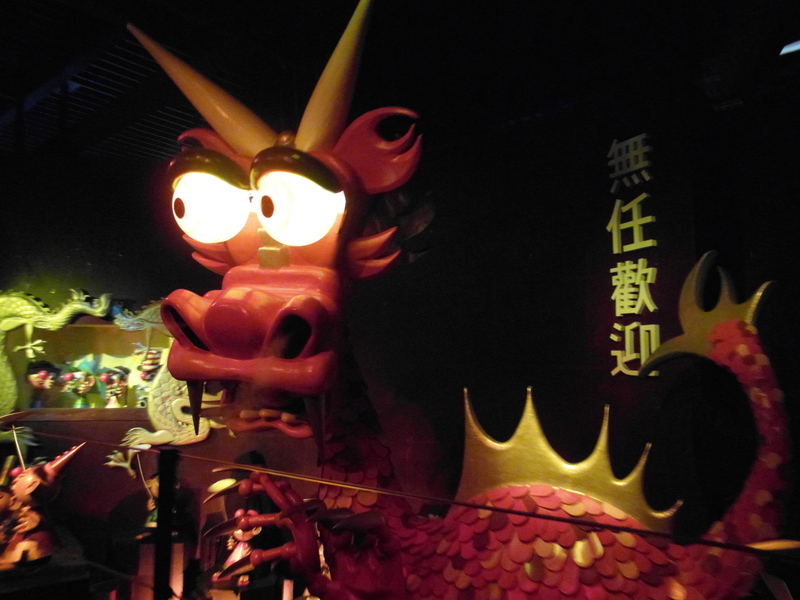 Our friend Ron on Facebook told us that the characters on the wall behind the dragon in the China section of the ride say ‘無任歡迎’ [wú rèn huānyíng] and mean ‘Not Welcome’*. Now we understand why he always looks angry! *Ok, so we posted this, and then got told that the translation was not correct! Apparently, it mean ‘no matter what, you’re welcome’. Whether you’re rich or poor, or whatever your race etc. Thank you Anna for the correction! We came across a peculiar video of the Carnaval Festival song playing in Studio 1 at Walt Disney Studios park, in Paris. We’re not sure of the reason why, but here it is! He’s quite cute! If you would like to share any photos of Winter Efteling, please send them to us! info@eftelinguk.com or on our Facebook page. We found a couple when we were having a clear-out. 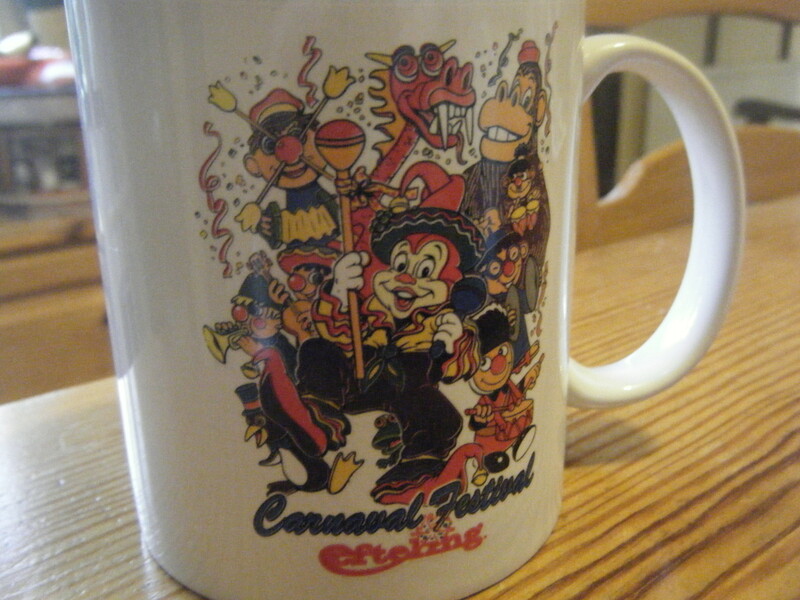 We love the old-school Carnaval Festival mug, complete with Pardoes! 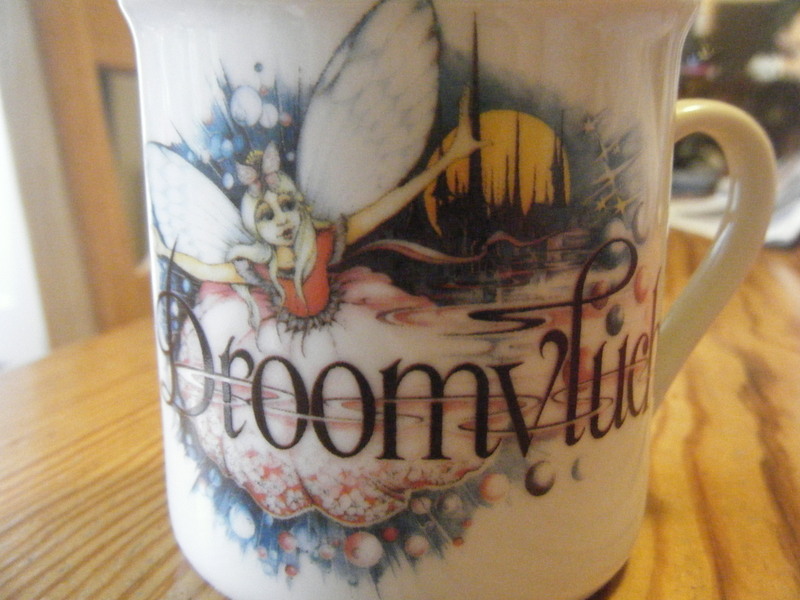 The Droomvlucht one is also pretty cool; if only the Droomvlucht store still sold this kind of thing! However, that is a rant for another day! 50 Facebook ‘likes’…Plus, The Forgotten Dragon! A short but sweet post today. 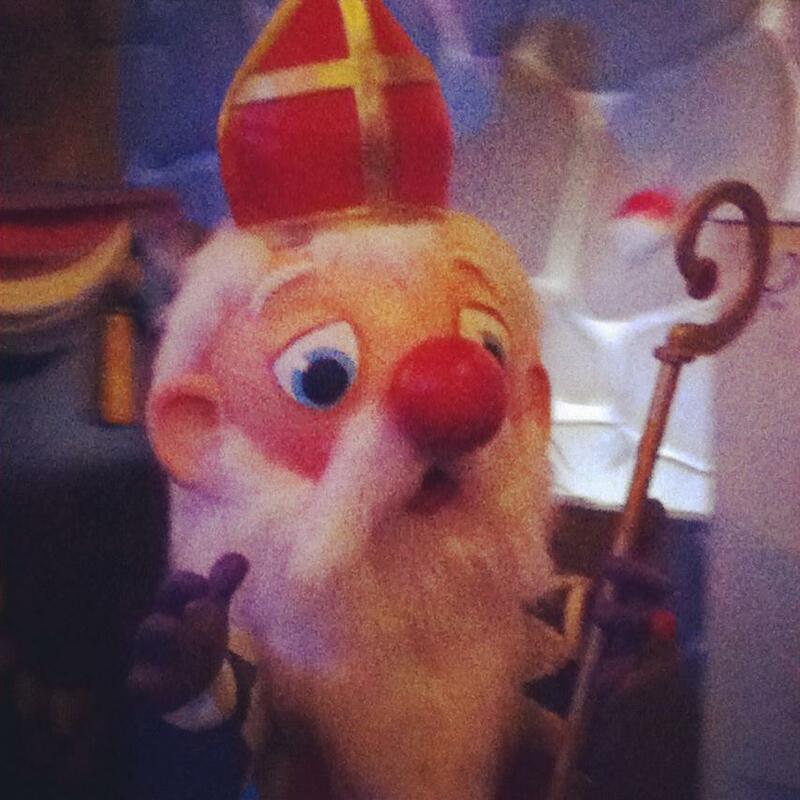 We now have 50 fans of Efteling UK on Facebook *pulls party popper*. That is pretty good so far, however, I hope that we can make it to 60 fans before Efteling’s birthday on May 31st! Plenty of time, but get inviting your Facebook friends to ‘like’ the Efteling UK page, teamwork is the way forward! 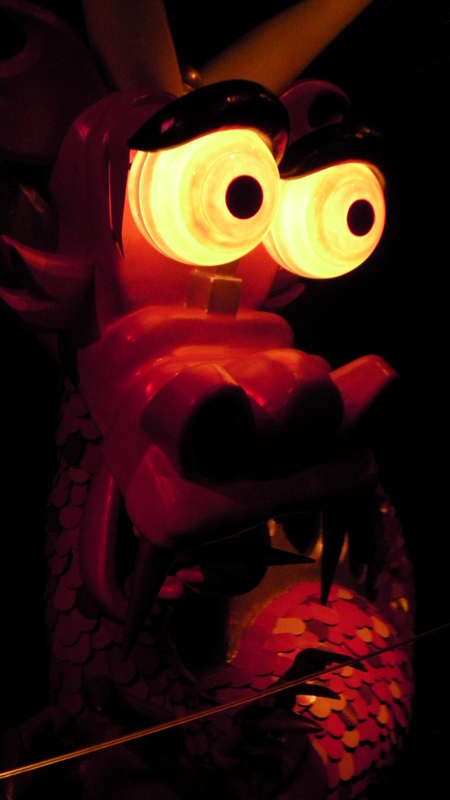 Yes, I forgot to mention him when I was gushing about Efteling’s dragons. He’s rather large so I’m surprised I forgot him, but, better late than never! He lives in Carnaval Festival if anyone wants to visit him. He looks pretty good; I like Italian Jokie the best, but I’m not sure that Jokie driving out of a German pub is such a great idea! Don’t drink and drive folks! Thanks to vijfzintuigen.nl and RHvanLeest. Join us on Facebook, and have a great weekend! Carnaval Festival Video to Cheer You All Up! Not too long ago, Efteling posted a link to a very amusing and slightly surreal music video on their Facebook page. Being English and not really knowing any Dutch, I have to admit that I have no idea what is going on in the video, however, I couldn’t help but laugh at it anyway! I thought I would share it with you all to cheer up your Monday. As a side note, we now have 42 ‘likes’ on our Facebook page! Please keep sending your friends over to us to check out the site.